Featuring a soft shell padding with mesh cover, the Champion Sports 13 Inch Outside Plastic Shield Professional Umpire Chest Protector is lightweight and comfortable, allowing for maximum flexibility and quickness behind the plate. 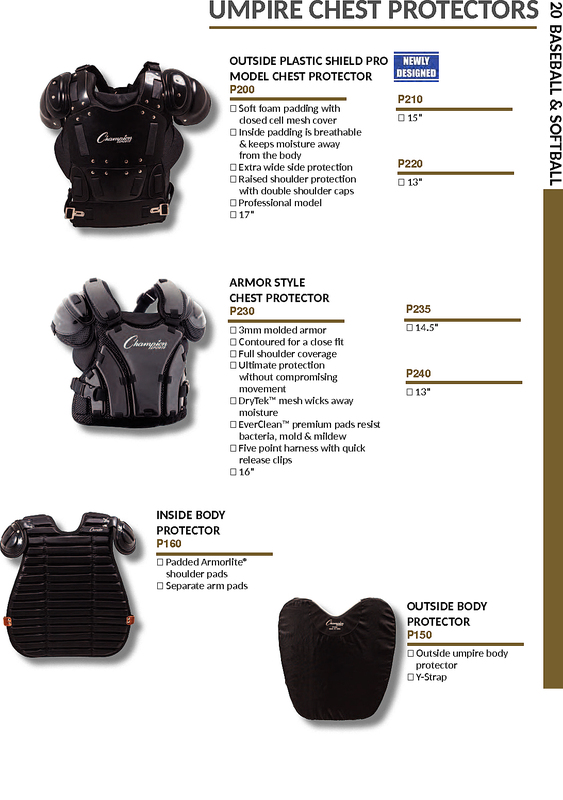 as well, this umpire chest protector is breathable, preventing sweat and moisture from absorbing into the umpire's gear. With extra-wide side coverage and shoulder caps, this umpire chest shield is fit for amateur or professional use in any league play.